What is the Kingdom of God? What is the difference, if any, between being saved and being in the Kingdom? The Kingdom of God is the government of God. It's a position of authority. When you are saved you become a citizen in the Kingdom, but are NOT yet in the government of the Kingdom. 26 And he who overcomes and keeps My works to the end, to him I will give power over the nations. 27 And he will rule them with a rod of iron, as the vessels of a potter they will be broken to pieces, even as I received from My Father. Do you see the distinction in that last verse? From those who had already received Him, to those who have power to become sons. How do you become a son? 3: For consider him that endured such contradiction of sinners against himself, unless you be wearied and faint in your minds. 4: You have not yet resisted unto blood, striving against sin. 6: For whom the Lord loves he chastens, and scourges every son whom he receives. 7: If you endure chastening, God deals with you as with sons; for what son is he whom the father chastens not? 8: But if you be without chastisement, whereof all are partakers, then are you bastards, and not sons. Remember Jesus is the King of kings and Lord of lords, who are the kings and lords? 6: And because you are sons, God has sent forth the Spirit of his Son into your hearts, crying, Abba, Father. 7: Wherefore you are no more a servant, but a son; and if a son, then an heir of God through Christ. We are heirs with Christ, but until the appointed time of the Father, of whom decides when the rapture takes place. We are under tutors and governors training us to be authorities in the Kingdom. So what happens to those who are saved but are not in the Kingdom? They are not fit for the land which is the Kingdom, nor are they fit for the dunghill which is Hell or the Lake of Fire, so they are cast out. Out where? 24 And the nations of those who are saved will walk in the light of it; and the kings of the earth bring their glory and honor into it. 27 And there shall in no way enter into it anything that defiles, or any making an abomination or a lie; but only those who are written in the Lamb's Book of Life. These scriptures are talking about New Jerusalem, the city of God, which is in heaven and shall come upon the new earth when all is done. Those who are saved and are not in the Kingdom are outside the city. Their glories or treasures are brought in, but they are not allowed inside themselves. Inside the city is the Tree of Life and its leaves are for the healing of the nations. To enter you must obey God's commandments. 12 (NKJV) Therefore He said: "A certain nobleman went into a far country to receive for himself a kingdom and to return. 14 (MKJV) But his citizens hated him. And they sent a message after him, saying, We will not have this one to reign over us. 15 (NKJV) "And so it was that when he returned, having received the kingdom, he then commanded these servants, to whom he had given the money, to be called to him, that he might know how much every man had gained by trading. 20 "Then another came, saying, "Master, here is your mina, which I have kept put away in a handkerchief. 21 (MKJV) For I feared you, because you are a harsh man. You take up what you did not lay down, and you reap what you did not sow. 22 And he said to him, I will judge you out of your own mouth, wicked servant! You knew that I was a harsh man, taking up what I had not laid down and reaping what I did not sow. 26 "For I say to you, that to everyone who has will be given; and from him who does not have, even what he has will be taken away from him. 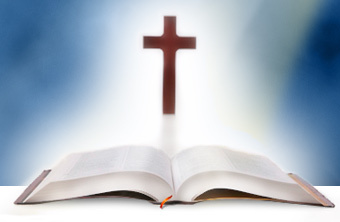 In this parable you see 2 individuals who will be given authority in the Kingdom. You also see another who loses what he has. Then the Lord speaks of another group of people He calls "His enemies", those who refuse completely to be ruled by Him. He has them slain. 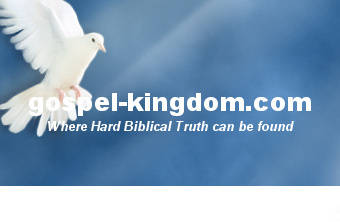 In this parable you have 3 groups of people; Kingdom sons, saved individuals, and enemies. This shows us clearly that there at least these 3 distinct groups of people with separate and different judgments for each group. 1 ¶ And I, brothers, could not speak to you as to spiritual ones, but as to fleshly, as to babes in Christ. 2 I have fed you with milk and not with solid food, for you were not yet able to bear it ; nor are you able even now. 3 For you are yet carnal. For in that there is among you envyings and strife and divisions, are you not carnal, and do you not walk according to men? Doing good things in the name of the Lord does nothing to advance the Kingdom of God. It may promote your ministry but not Jesus' ministry. Suffice it to say that many "good" deeds done in the name of the Lord are actually dead works. Jesus is a rock of offense, (the harsh Man from the parable above). He will offend the fleshly mind. What will you do with this Rock/Stone? 6 Therefore also it is contained in the Scripture: "Behold, I lay in Zion a chief corner Stone, elect, precious, and he who believes on Him shall never be ashamed." 8 and a Stone-of-stumbling and a Rock-of-offense to those disobeying, who stumble at the word, to which they also were appointed. 18 Whoever shall fall on that Stone shall be broken, but on whomever it shall fall, it will grind him to powder." For a detailed look at the kinds and stages of the Resurrections, please read the middle section of the page on the following link labeled "SAINTS AND THE KINGDOM (4-6)"
Is the Gospel simple or complex?